Cooler temperatures and shorter days are just a few of the signs that summer is drawing to a close and fall is almost upon us. 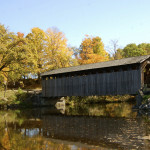 The tourism focus now shifts from sun and sand to the red, orange and yellow colors of the changing leaves on the trees. 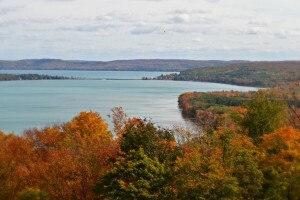 While the Upper Peninsula is a popular spot to visit in autumn, there is no shortage of great places to check out in the Lower Peninsula. Current estimates have early color popping up near the end of September with most of the Lower Peninsula reaching peak around the second week of October. Color moves from north to south, with lakeshore areas peaking/lasting later/longer. 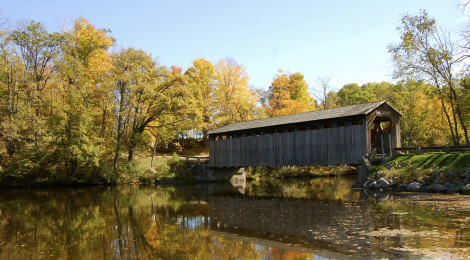 Here’s Travel the Mitten’s 2015 list of 10 great places to check out for fall color in Michigan’s Lower Peninsula. 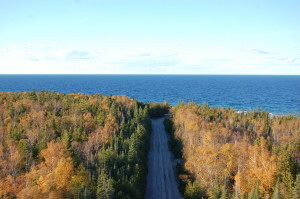 M-22 – The national media is starting to take notice of the beautiful scenery on M-22, with USA Today/10best.com recently naming it as one of 20 finalists for “Best Scenic Autumn Drive.” With 116 miles of scenic Lake Michigan shoreline to offer, this continues to be a top draw for tourists to the Northwest Lower Peninsula. 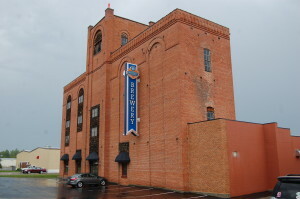 Popular stops include Frankfort, Empire, Leland (Fishtown), and the Leelanau Peninsula. 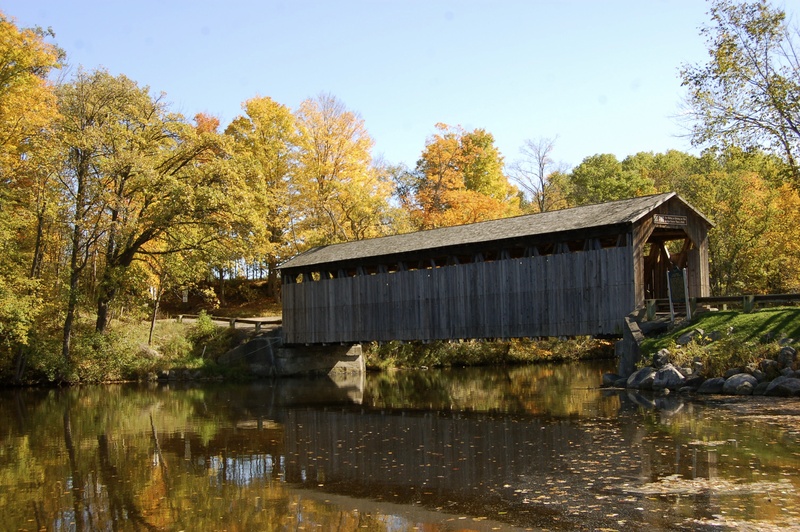 Fallasburg and Ada Covered Bridges – Kent County offers two parks with historic covered bridges and stunning fall riverside scenery. 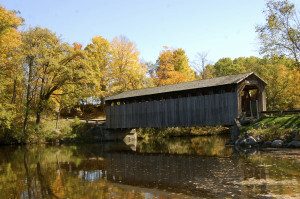 We profiled these bridges in an earlier post (and provided directions), and while we recommend a visit any time of the year these two locations are simply stunning during peak fall color. 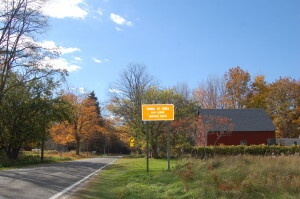 Tunnel of Trees – M-119 is flooded with vibrant color from Cross Village heading south to Harbor Springs, as it follows a bluff along the shore of Lake Michigan. 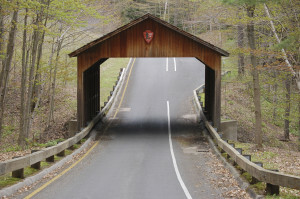 Check out the numerous small businesses along the way for food and souvenirs, and enjoy the views as the canopy of trees allows bits of sunlight through its orange, yellow and red leaves. 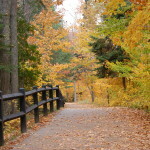 River Road National Scenic Byway – This 23-mile stretch follows the Au Sable River from Oscoda to the west through the Huron National Forest. This area is full of lumber history, and there are many scenic lookouts along the way – including the Lumberman’s Monument. 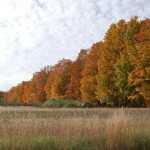 Sleeping Bear Dunes National Lakeshore – The trails here are just as breathtaking in the fall as they are during the peak summer months, and without the crowds. Pierce Stocking Scenic Drive is a great starting point, and it leads under a covered bridge and to numerous lookouts from above the dunes, Glen Lake and Lake Michigan. A fll visit to this unspoiled national park shows why Good Morning America named it the “Most Beautiful Place in America” in 2011. 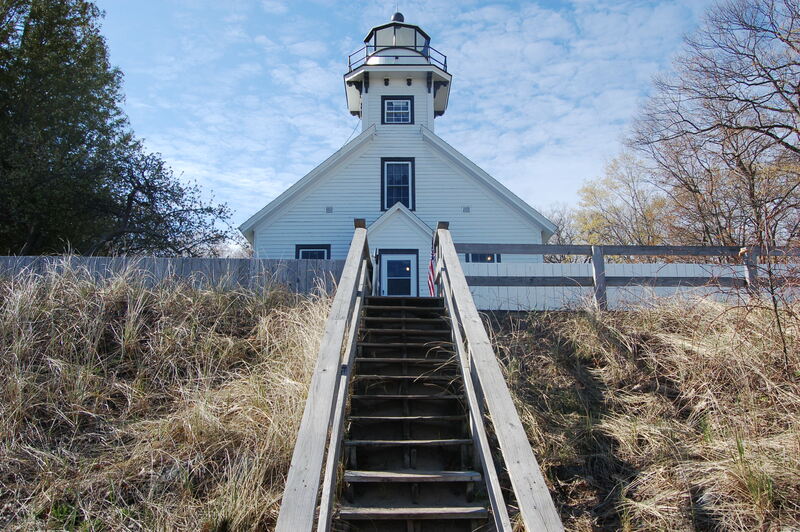 Old Mission Peninsula – Renowned for its wine and scenery, this peninsula north of Traverse City also boast stunning vistas and a historic lighthouse that lies on the 45th Parallel. M-37 also makes its way past 10 “quilt barns” – historic barns that feature colorful, quilt-like paintings on them. Having fall color as a backdrop makes the barns and the wineries even more photogenic. 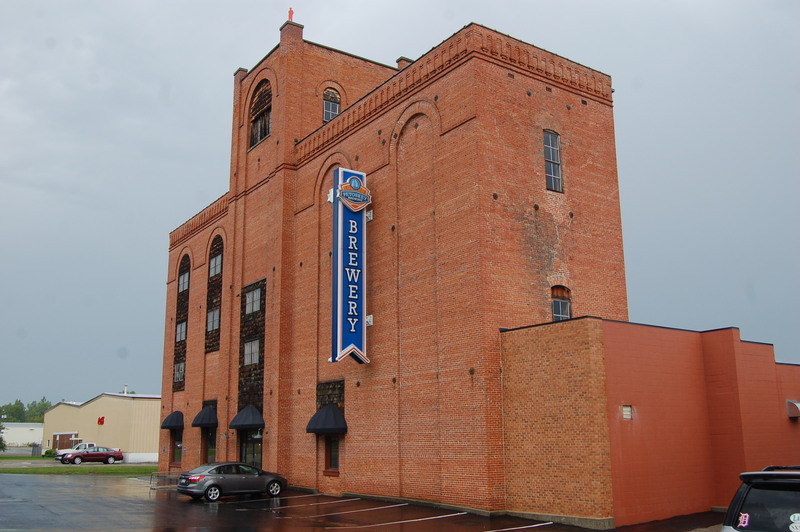 Petoskey – With plenty of shopping, eating, craft beer and wine destinations, Petoskey continues to grow in popularity with tourists from Michigan and beyond. 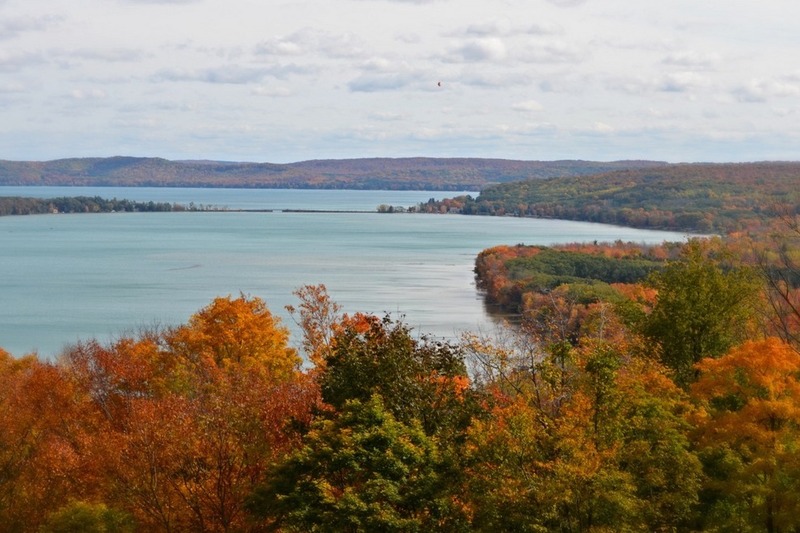 Great fall views can be found at Petoskey State Park or from Sunset Park on Little Traverse Bay, and Petoskey serves as a gateway to scenic drives in Harbor Springs, the Jordan River Valley, and Lake Charlevoix. Take a few back roads here in Emmet County and see if you can’t find a farm market, colorful forests, and miles of unspoiled beauty. 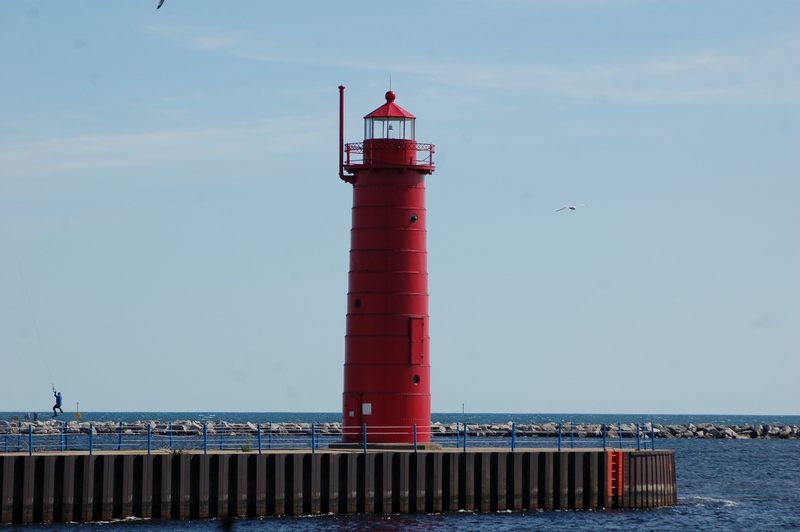 Holland/Grand Haven/Muskegon – It’s hard to pick a favorite from these three beautiful towns on Lake Michigan, so we combined the three of them together for this list. Each city features a state park with a sandy beach and a vibrant downtown with many entertainment, food and shopping options. 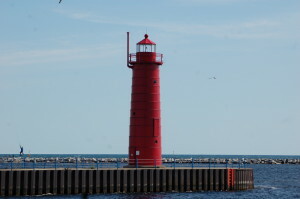 Holland’s Big Red Lighthouse fits well in any picture that features fall colors in the background, while Grand Haven offers a breakwater for views back towards the shore and the quietly beautiful North Ottawa Dunes park. In Muskegon, the lake and dunes provide an excellent foreground for forests that explode with color just a little farther inland. Driving US-31 north from Holland is a great way to see the best views of these three cities. 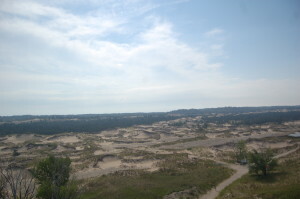 Ludington State Park – One of the crown jewels of the state park system in the Lower Peninsula, Ludington offers dunes, beaches, forest, rivers and inland lakes. 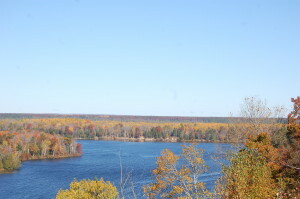 Miles of hiking trails provide excellent fall color, with exceptional views coming from Hamlin Dam and the top of Big Sable Lighthouse (pictured). 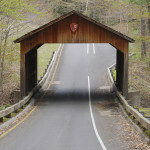 Check out our photo gallery for more great places to visit. Alpena/Presque Isle/Rogers City – US-23 follows the Lake Huron shoreline north through the historic shipping ports of Rogers City and Alpena (check out our list of 5 places to check out in Presque Isle County) on its way to Cheboygan and Mackinaw City. On this route there are several historic lighthouses (Alpena, 40 Mile Point, Old Presque Isle and New Presque Isle) as well as outdoor recreation opportunities at P.H. 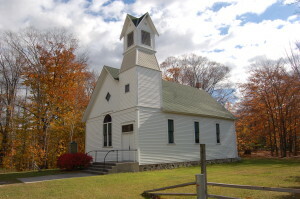 Hoeft State Park, Thompson’s Harbor State Park and Rockport State Recreation Area. The view shown here comes from the top of New Presque Isle Lighthouse, 109 feet up with amazing views of Lake Huron and the surrounding forest. Thanks for mentioning my home town. We already have some color and more is yet to come.